The legacies of Scharlette Holdman (pictured) and Marie Deans—two women who changed the landscape of capital punishment in the United States—are memorialized in a recent story in the Marshall Project and a new book scheduled for release in August. Maurice Chammah's article, We Saw Monsters. She Saw Humans, marks the July 12, 2017 passing of mitigation pioneer Scharlette Holdman and tells the story of her forty-year fight on behalf of capital defendants and death-row prisoners. The forthcoming book by Todd Peppers and Margaret Anderson, A Courageous Fool, tells the story of a similarly pioneering woman, Marie Deans, who long worked to save defendants and prisoners facing the death penalty and whose efforts to give voice to family members, like herself, whose relatives had been murdered, led to the creation of Murder Victims' Families for Reconciliation. Holdman used her background in anthropology to develop the practice of death-penalty mitigation—conducting a multi-generational social history investigation to tell the story of a client's life in a way that would humanize him or her to a jury or a judge. “What she saw is that killers are not just born,” said lawyer George Kendall, who represents death-row prisoners. “They have had unbelievably abused and neglectful lives, and that history is relevant. You become your client’s biographer, you speak to the 60 most important people in that person’s life—friend and foe.” She approached this difficult work with creativity and humor. In one case, she attempted to discredit a psychiatrist's testimony that a severely impaired defendant was competent to be executed because he had beaten the doctor at tic-tac-toe, by locating a tic-tac-toe playing chicken to present in court. The judge “felt that bringing the chicken into the courtroom to play tic-tac-toe would degrade the dignity of the court,” Holdman later told This American Life. “I thought that the dignity of the court was degraded by executing a mentally retarded, mentally ill person.” In 2011, she described mitigation investigations, saying, “As we in local communities began to look for mitigation, we saw it as presenting the narrative of someone’s life, and we became acutely aware that it was a very specialized, complex undertaking. That narrative is not there for the asking. It requires not just knowledge and skill but experience in how you search for, identify, locate, recognize, and preserve the information.” Her work was profiled in the book Among the Lowest of the Dead, an account of Florida's reinstatement of the death penalty. A Courageous Fool describes the work of mitigation expert and anti-death penalty activist Marie Deans to defend death-sentenced prisoners, to free the wrongfully convicted—including Virginia death-row exoneree Earl Washington—and to try to end the death penalty. Virginia Senator Mark Warner called A Courageous Fool, "A powerful story of a Virginia heroine." Deans passed away in 2011. Exonerated: A History of the Innocence Movement, by Robert J. Norris, describes the rise of the "innocence movement," the lawyers, investigators, journalists, lawmakers, and organizations that have worked to uncover wrongful convictions, educate the public about the problem, and reform the criminal justice system to prevent future mistakes. For the book, Norris interviewed 37 key leaders on the issue, including Innocence Project co-founders Barry Scheck and Peter Neufeld, and Rob Warden, co-founder of Northwestern University's Center on Wrongful Convictions. He also researched major cases, such as the exoneration of Kirk Bloodsworth, the first wrongly death-sentenced person to be exonerated by DNA evidence, and reviewed studies on innocence. Exonerated explores how separate scientific, legal, and cultural developments coalesced, leading to a broader understanding of how technology—particularly DNA testing—and more reliable investigative techniques could exonerate the innocent and combat the risks of wrongful convictions. And the book explains how this greater understanding of wrongful convictions was a catalyst in transforming public attitudes about capital punishment. Richard A. Leo, author of The Wrong Guys: Murder, False Confessions and the Norfolk Four, said, "Exonerated is the definitive account of how the innocence movement transformed public views about the everyday fallibility of the American criminal justice system in the late 20th century, and why preventing the wrongful convictions of the factually innocent remains more important than ever in the 21st century.” 159 men and women who were wrongly convicted and sentenced to death in the United States have been exonerated in the 45 years since the U.S. Supreme Court's decision in Furman v. Georgia overturned existing death-penalty laws in 1972. Walter Ogrod was convicted and sentenced to death in Philadelphia in 1996 for the 1988 murder of a 4-year-old girl, whose body was found in a discarded television box. Ogrod, who is developmentally disabled, has long maintained his innocence, but despite significant irregularities in the case and amidst allegations of official misconduct, local prosecutors have fought efforts to obtain DNA testing of the physical evidence and to investigate the role a discredited prison informant played in implicating Ogrod. A new book, "The Trials of Walter Ogrod," by Tom Lowenstein chronicles the crime, the trial, and the failures of the criminal justice system in Ogrod's case. The book tells how a Philadelphia homicide detective interrogated the intellectually limited Ogrod for more than 14 hours before Ogrod signed a 16-page confession that was written by the detective and that was filled with emotionally-laden language Ogrod—with an autism spectrum disorder—would not have used. Ogrod's court proceedings have been controversial from the outset. The jury in Ogrod's 1993 trial voted to acquit, but as the verdict was being read, one juror called out that he had changed his mind, causing a mistrial. Before the second trial, Ogrod was placed with a prison cellmate named John Hall, a snitch so notorious for producing confessions that he was nicknamed "The Monsignor." Hall claimed that Ogrod had confessed to him, giving a story that was completely different from the written confession extracted by detectives and used in the first trial. Hall also introduced Ogrod to a second informant, who received leniency in his own case after claiming Ogrod had made a confession similar to the story Hall had reported. Ogrod did not match witness descriptions of the likely perpetrator and no physical evidence linked him to the crime, but a jury convicted him in a retrial in 1996 based upon the informant testimony. A year later, Hall was discredited after being caught fabricating a confession in another high profile Philadelphia murder case. Ogrod's lawyers have sought DNA testing of fingernail scrapings taken from the victim, but prosecutors and courts have blocked their efforts. Philadelphia is in the midst of a campaign for District Attorney, and Lowenstein believes the next person elected to that office should take another look at Ogrod's case and several others like it, in which prosecutors used jailhouse snitches and high-pressure interrogations to obtain convictions. "What I would like to see is the next DA in Philadelphia do a thorough review of death-penalty and life-imprisonment cases from the 1990s," he said. "There was a systemic problem with how that DA’s office was prosecuting people." 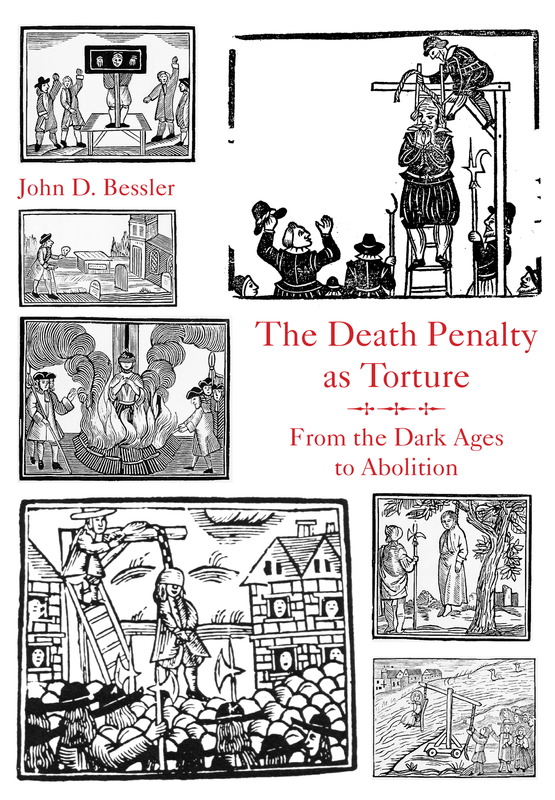 BOOKS: "The Death Penalty As Torture: From the Dark Ages to Abolition"
In his newest book, The Death Penalty As Torture: From the Dark Ages to Abolition, John Bessler chronicles the historical link between torture and the death penalty from the Middle Ages to the present day and argues that both are medieval relics. The book, released on February 17, 2017, asserts that capital punishment is itself a form of torture, despite modern legal distinctions that outlaw torture while permitting death sentences and executions. Bessler draws on the writings of philosophers such as Cesare Beccaria and Montesquieu, who condemned both practices and concluded that any punishment that was harsher than absolutely necessary was unjustifiable. Bringing these historical threads to the modern day, Bessler writes that the availability of highly-secure penitentiaries has made the death penalty unnecessary as an instrument of public safety. 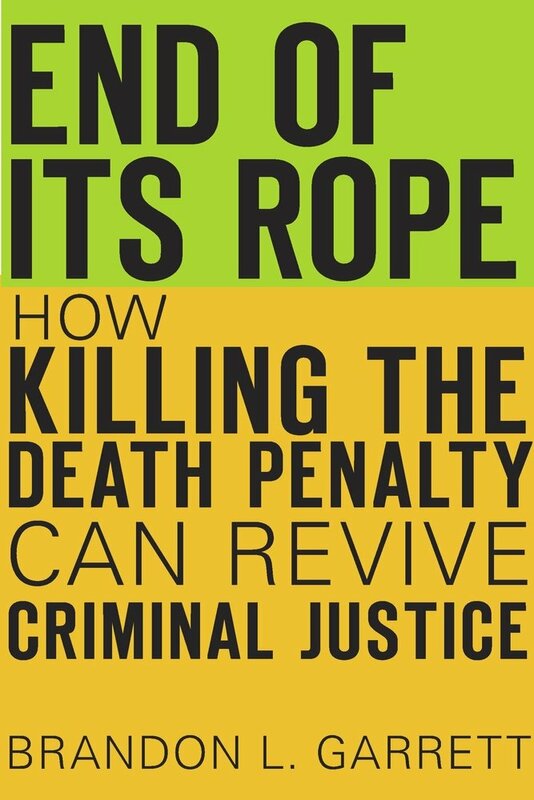 He argues that with more than 80% of the world's nations either not conducting executions or barring the death penalty outright, it is time for international law to recognize a norm against the use of the death penalty. Bessler is a professor at the University of Baltimore School of Law whose previous books on capital punishment include Cruel and Unusual: The American Death Penalty and the Founders' Eighth Amendment, The Birth of American Law: An Italian Philosopher and the American Revolution, and Against the Death Penalty.